← The 1,567,438th Super Bowl XLVI Preview!! Cris “All I do is catch touchdowns” Carter cannot catch a break in his quest for Canton. His stats undeniably show he is a Hall of Famer: 1,101 receptions, 13,899 yards, 130 TD’s (at the time of his retirement, these numbers were good for no. 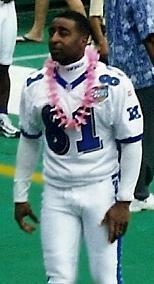 2 on the all-time receiving list), 8 straight seasons with 1,000 yards, 5 straight seasons with 10+ TD catches, 8 Pro Bowl selections, and was voted a member of the 1990s All-Decade team. Those that witnessed him play would agree – the guy was a gamer. He trademarked the tip-toe sideline catch. And despite his early-career transgressions, Cris Carter was instrumental in mentoring a young Randy Moss as the Vikings cruised to a 15-1 record, and a missed FG (nice snap Superstar) from a Super Bowl berth. So what, exactly, is holding him back to what should be an inevitable election to the Hall of Fame? Carter's HOF candidacy has been anything but a vacation. Some opine that Cris Carter and Andre Reed (another WR HOF finalist) are canceling each other out. But, this does not jive with their statistics. Carter’s numbers are flat out better. He has more receptions, yards, touchdowns, and pro-bowl berths. Reed, of course, played in more Super Bowls, albeit, for the losing squad every time. Because of the Super Bowls, Reed may be deserving of enshrinement, however, if you’re choosing between two similar players, it should come down to the numbers. And the fact that Carter was voted to the all-decade team and Reed was not, should solidify Carter’s dominance amongst his peers. If a voter votes for Reed, and not Carter, he should have his HOF voting rights stripped. For an unknown reason, WR have a tougher time getting enshrined compared to other offensive skilled positions. It could be that they are considered the “divas” of the football team. WR’s are not well represented in the Hall, particularly when compared to their fellow “skill position” players at QB and RB. There are only 4 WR’s in the Hall that have played into the 1990’s, compared to 7 QB’s and 7 RB’s. And they often have to wait nearly twice as long after retirement for their induction too. This last point is most noticeable by the fact that Curtis Martin was elected this year over Carter. Martin’s stats are certainly deserving of enshrinement, but, how are his stats any different than Carter’s stats when compared to his WR peers? 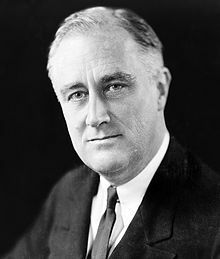 No joke, Hartman may have cast a vote for FDR (in more than one election)!! Unfortunately, it is likely the process itself that is keeping Carter from receiving his just reward. HOF candidates are selected and voted upon by the senior representative writer from that player’s “hometown” (the place he played for most of his career). This means that since Carter’s retirement, his HOF candidacy has been in the ancient hands of Sid Hartman. That is right, a man who may have voted for FDR, yes, that FDR, is charged with determining whether Carter should get in. There have been more than rumbles over the past ten years that maybe this important role should be tasked to someone who is a little more “in touch” with the candidates. Not only has Sid failed to advance Carter’s case, there have been multiple reports that Sid is not well-liked among his fellow HOF voters. This means that even when Sid finally gets around to touting Carter’s case, the other writers are not exactly going to rally to the cry. It is a bad joke that Carter’s lone voice is a curmudgeon who is unwilling to relinquish his post and instead continues to carry the banner for injustices of days gone by (think, Jim Marshall and Mick Tinglehoff). Interesting enough, Randle McDaniel (considered by many to own the Greatest of All-Time label) suffered the same fate as Carter, waiting for years until he was finally enshrined. I am not sure if Sid is the ONLY reason for Carter’s exclusion, but, I suspect it is the main reason. Regardless, it needs to be rectified, and soon. Unfortunately for Carter, next year’s class will not make it any easier on him, with new candidates in Michael Strahan, Larry Allen, Jonathan Ogden, Steve McNair, and Warren Sapp. With only five “modern-era” players elected each year, we may be having this same discussion for a few more years. This entry was posted in Vikes v. Pack and tagged 2012 Hall of Fame, 2012 HOF, All I do is catch touchdowns, Andre Reed, Canton, Carter, Cris Carter, Hall of Fame, HOF, HOF Snubs, NFL, Sid Hartmann, Snubs. Bookmark the permalink.